This entry was posted on December 19, 2011 at 1:05 pm and is filed under 2011 -- KfC's 10 best, Essays. You can follow any responses to this entry through the RSS 2.0 feed. You can skip to the end and leave a response. Pinging is currently not allowed. Great to see your list, Kevin! I have mine drafted but I had to get my most recent review up before I could publish it since my most recent review is about what is probably my favorite book of the year. But since time has been a major issue lately, I have just now posted that review — which is a long way of saying my list will be up later this week . . .
I’m of course thrilled you enjoyed Montana 1948 as much as you did. It still sits high on my all-time list, and I don’t imagine it will get knocked down anytime soon. And as usual your list reminds me of some holes in my own reading I’ve been meaning to fill in for some time. I’ve had Touch since it was published and I’ve had the first two volumes of Vanderhaeghe’s trilogy on my shelf for even longer. I was expecting to fill both holes when the Giller shortlist was announced, but since neither Zentner nor Vanderhaeghe was shortlisted, the gaps remain! Trevor: I can certainly understand that the time pressures of a newborn son (not to mention work) have cut into reading time — I’d say both Vanderhaeghe and Zentner will be every bit as good in a year or two as they are now. I very much look forward to your list as well. Happy Holidays to all of the Berrett family. This is a really interesting selection of books. I have had Montana 1948 on my books to read list ever since I read your glowing review. I’m going to have to try and get round to it soon! Thanks Graham. I feel a little bit guilty that there is so much contemporary fiction on the list, but that is a reflection that for my tastes it was a good year for that, particularly with Canadian authors. And that my commitment to reading the Booker longlist meant that I spent quite a bit of time in the summer reading a number of books that were ordinary at best. In 2012, I intend to make sure that I venture beyond the contemporary, at least in the first quarter of the year. The Adam Mars-Jones’ volumes and also The Spoiler are now on my TBR list. I added all of Clark Blaise’s collections to said list when I finished The Meagre Tarmac (how did I miss his work before the Giller longlisting ::sigh::). I hope 2012’s page-turns hold good things for you! BiP: I think you will find them worthwhile. I should have mentioned that I intend on reading more Blaise in 2012 as well — while I have known about him for decades, I’ve never read any of his other collections. And my experience with The Meagre Tarmac reminded me that I should go back to some of the authors (particularly short story writers) that he hung out with in Montreal. Hugh Hood was one of my favorite authors when I was in my twenties — more than enough time has passed to make revisiting some of his short story collections worth another look to see how they have held up. ‘A Good Man’ is on my soon-TBR list, and I’m currently reading Larry Watson’s newest. One thing your list says to me is that I should watch the Giller prize longlist and short list more closely. I usually find out about great Canadian novels and novelists only after a couple of years have passed. Tony: The Shadow Giller Jury has reviewed all of the Giller longlist on this blog for the last three years — usually only one or two of us get to longlist books but all four of us read all the shortlist. We will be doing it again next year, with the same four jurors as this year. I think the longlist is well worth looking at — except for a few titles from small independent publishers, most are available in the U.S. and almost all available as e-books if you have a reader. Great list. I’ll be including The Sense of an Ending in my end of year list too. If I had read any Patricia Highsmith this year, I’m sure she would have made the list too. She is excellent. You should also try her stand alone novels. Mrs. B: I probably will save the stand alone novels until I have finished the Ripley series, although I may try some of her short stories along the way, It is nice to have an author whose works you can count on “on hand” for when you want a book that you know you will enjoy (usually after experiencing a few disappointments, if you know what I mean). Guy: Hope you enjoy those selections — The Spoiler has some good dark humor in it and some great sections that take the mickey out of modern trashy newspapers. Since I will be getting on a plane soon to return to my writer’s stomping grounds of Texas, I’m going to Barnes and Noble to look for a book that will distract me from airport woes–your list helps! All readers should pause today too and say a word of gratitude for the life of Vaclav Havel. His historical stature is well known, but the other remarkable thing about this man is that: he can write. Really write. Try his essays, his letters, for a strange, grounded, egoless voice. I did read some essays back when his political career was in flower — have never tried any of Havel’s other work. Good luck with the airplane read. Cherine: I think you will enjoy both those selections. And a few months down the road if you have time, give consideration to The Spoiler — your experience in the communications business you have dealth with versions of Tamara and you will find parts of it hilarious. Great list, Kevin – I’ve read only two of them but have five others. The Vanderhaeghe in particular keeps calling to me from my TBR pile, though at the moment I’m (rather perversely) reading a few books from that mountainous pile that I’ve for one reason or another kept dismissing. At the moment I’m halfway through Frances Itani’s ‘Requiem’ which I’d been putting off thinking it might be too similar to Julie Otsuka’s ‘The Buddha in the Attic’ (it’s not – well, not entirely – and I much prefer the way Itani has used similar material). Anyway, as a result of your enthusiastic reviews of Larry Watson I recently bought a copy of his new novel ‘American Boy’ which I intend to read before the end of the year. The two from your list that I’ve read (Barnes and Zentner) would probably make my top ten too. David: Given your extensive reading of Canadian fiction, I’m not surprised that you have so many on hand. Itani’s first book and I did not get along, so I haven’t tried Requiem (the reviews that I read indicated I would probably have the same issues with it). As for Larry Watson, I have Justice (an early short story collection) on hand and will probably dip into that in the New Year — off the two novels that I have read, I expect him to be a talented short story writer as well. All of which means that I seem to have fallen into reading Watson in publishing order, so I will probably move on to Orchard and Laura after that — American Boy probably won’t hit the agenda until a year or two down the road. Good to see I’ve already got one of these, so it won’t be so hard on my credit card LOL. Have a great Xmas KfC, and many thanks for all the great bookchat here on yoru blog. Lisa: Thanks for the comment and all the best to you and yours. I’m taking part in Kimbofo’s Australian reading January to knock a couple off my TBR pile (Seven Types of Ambiguity and Shiralee). And while I haven’t been commenting I have been following the deliberations of the Man Asian Shadow Jury — keep up the good work. Good stuff Kevin. My own Highsmith highlight this year was Deep Water – it’s one of her best. I’m very taken with the Clark Blaise, but I’m not betting on it showing up in Dublin bookshops. So at some stage a Book Depsitory order will be required. Watson is one I want to get to as well, both the books you’ve reviewed. The Spolier sounds like fun, I think I missed the review first time around. And by Mrs McEwan no less! You’ve steered me right in the newspaper sub-genre before so this is one I’ll think about. Leroy: Given the comments on Highsmith both on this post and previous ones, I’m considering that maybe I should alter stand alone novels with the rest of the Ripley series, so thanks for the Deep Water recommendation. And I was guilty enough about knowing about Blaise but not having read him until this year that I ordered three volumes of his collected stories today — Porcupine’s Quill here publishes them by the region they are about (Southern, Pittsburgh and Montreal). Mrs. McEwan puts both her professional and personal background to good use in the book — I personally believe that her “status” on both fronts meant more negative (or less positive) reviews than the book deserved. Having said that, you know when she writes about tabloid journalists persecuting “writing” celebrities, she has substantial experience. Happy Holidays and best reading in 2012. Glad to see Vanderhaeghe’s work in your list. 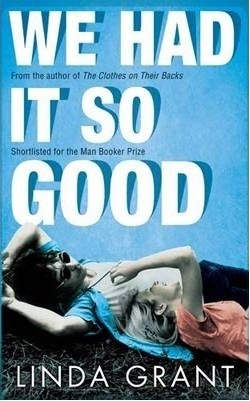 I really enjoyed ‘A Good Man’ and am sad that the trilogy is complete. Have you explored any of his earlier short story collections?? I think Guy Vanderhaeghe is a truly brilliant author and am quite mystified as to why his work is so under-appreciated?!??! AkA: I agree on Vanderhaeghe. Criminally under-rated. Kevin: great list, and I’m pleased Barnes is on there. (And I’m a huge Highsmith fan. I daresay John has already mentioned the exceptional The Cry of The Owl at some point?) As with Trevor’s list, there are a fair few on here that I haven’t got, so on the list they go. Clark Blaise particularly appeals, I must say. While I knew Blaise was born in the States and had spent a lot of time there, it was only within the last few days that I discovered he set so many of his short stories there — enough to fill both a Southern and Pittsburgh collection. In addition to reading the Montreal stories, I’m looking forward to the Pittsburgh one — Mrs. KfC and I lived there for three years so we know a little bit about it. Anyway, forgot to wish you and Mrs KfC a great Christmas. Have a good ‘un. Aleem: I’ve read all of Vanderhaeghe’s novels but only one story collection (the first, I think) and that was some years ago and I don’t remember it at all. I may have to mark them down for a future look. My guess is that he tends to be overlooked because a) he is Saskatchewan-based (so outside Canada’s literary inner circle) b) personally-reserved if not shy (I was his host some years ago when he was at the Calgary author’s festival — he is as nice in person as his books are, but he isn’t a media-type personality) and c) a combination of “Westerns” and “historical fiction” describing his works tends to regionalize him even more in terms of reputation. Also, he doesn’t write the kind of books that become either book club or university course favorites. It is interesting that international readers like Lee Monks and Max at Pechorin’s Journal who do try him are impressed. I’m looking forward to my “Montreal short story writers” project in 2012 — not just Blaise but Hugh Hood (whose stories I read a lot of in the 1970s) and people like John Metcalf (who I have pretty much overlooked — don’t even think I own a collection). I believe I read Mordecai Richler’s collection, The Street, as a student but it too invites a revisit. Mary: Thanks and all the best for the season to you as well. I too find that my reading “themes” tend to arise from books read pointing to others (e.g. one Brit novel in the 1950s points me on to others) rather than some grand plan. Linda Grant’s book misses that era by just a decade, but is worth considering. 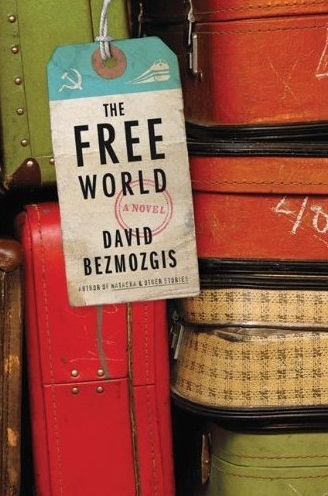 I do think Bezmozgis has some comparision to her previous novel (The Clothes on Their Backs) in the way that it explores the different reactions of different generations of immigrants to the “new” world. Incidentally, have you read an Nancy Huston? I’m interested in the thoughts on her work from those who have read her in the original French rather than her own English translations. Thanks for a great list. 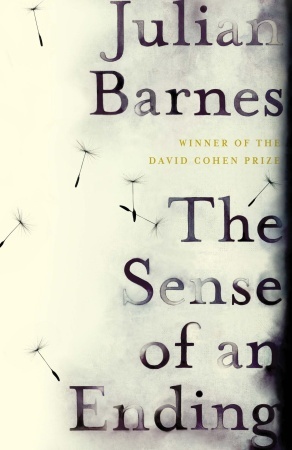 Last night I started (and am now two thirds of the way through) the Julian Barnes and am loving it. I already want to read it again, but also want to circulate it among my reading friends. Alison: I hope The Spoiler is one of the two, if you haven’t read it already. Given your day job (Alison is an editor at the Globe and Mail for visitors who don’t know my fellow Shadow Giller juror), McAfee’s portrayal of the contemporary newspaper world will speak to your experience — one of Tamara’s tasks as a regular casual is developing the kind of “top 10” lists that are a regular feature of the Globe’s ever-expanding Drivel section (agony aunts and uncles, Ask a Podiatrist, etc., etc.). It may be set 15 years ago, but I’d have to say her take is very present day. Kevin, thanks for another great list. I always enjoy reading your blog. Since it’s your blog, I’ll only list my top 5. Least favorite book of the year (tie: Elle by Douglas Glover and The Testament of Jessie Lamb). Closing comment: I wholeheartedly agree that The Giller list was far superior to the Booker. This is saying something since two of the books on the shortlists are the same and the Barnes is so great. Rick: You have snuck in here under a different name (I’m assuming I know you better as RickP) but your thoughts are always most welcome here. 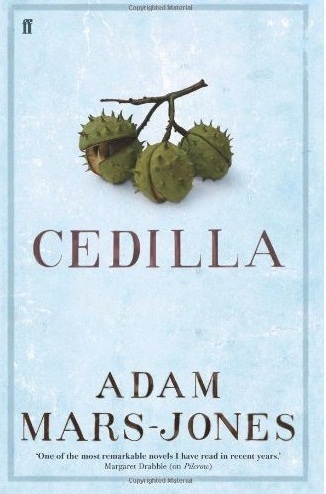 I have read all five on your list, although I’m not sure about the complete Cheever and Harper Lee was decades ago. I do approve of them all. Best holiday wishes to you as well. I just picked up The Meagre Tarmac from my favorite book store (great selection, excellent service) and now I can’t wait to take it all in over the holiday season. Thanks, Kevin, for a great year in reading and reviews! Thank you for your comments during the year. May you have a very good book blogging year in 2012. Tom: Thank you and best wishes for a happy holiday to you and yours. I hope you have 2012 plans for a couple of European holidays — I like your book posts very much but your pictures from your tours are equally as unique. And good luck in finding a copy of the Adam Mars-Jones two books somewhere. A very Merry Christmas to you and Sheila! Trevor: We both wish the Berrett’s a Happy Holiday season as well. Stephen: Thank you — and welcome to KfC. Your comments are always welcome. Craig: Ha. I actually pulled the Highsmith off the shelf just a few days ago. We watched the movie version a couple weeks ago (it was excellent, but then her books seemed to be made to turn into good movies) and I hope to get to Ripley’s Game in January. Then perhaps one of the stand-alone novels as a start to the altering program. I have both “Ripley’s Game” films on DVD. I enjoy the 2002 version with John Malkovich, but I found it to be a pretty poor representation of the character, despite so many critics calling Malkovich the perfect Tom Ripley and other things to that effect. He’s a fine Hannibal Lecter, but he ain’t no Ripley. I much prefer the 1977 version (“The American Friend”) with Dennis Hopper. Not only is it a better overall film, it captures the character of Tom much more accurately, even if Hopper is walking around in a cowboy hat. I really should get around to all those non-Ripley Highsmith books that I bought so long ago. I found “The Tremor of Forgery” so intolerably dull that it’s been sitting on my shelf for months with a bookmark stuck at about the 75% point. I also left “Strangers on a Train” unfinished some time ago, but that had less to do with the quality of the book and more to do with my fickle attention span. My tastes grow more warped every day. Why read good, legitimate literature when you can waste your time on some crappy dime novel in which Sherlock Holmes fights Dracula? Craig: It was the Malkovich version we watched, although I remember seeing The American Friend way back when (and not much more about it). I enjoyed the movie and obviously can’t compare it to the book — although there were points where it was quite obvious that the book would be better. And where the movie was better. 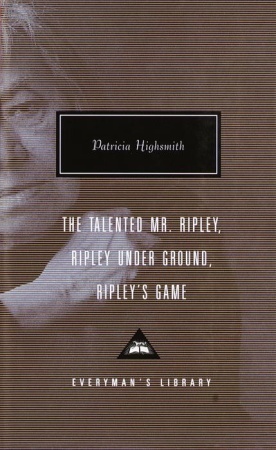 Highsmith sets the Ripley novels in some very beautiful places but I would not say description is her forte. So movie directors get to capitalize on that — and we readers have the books for character. Both media have value for me at least. And to digress just a bit, Mrs. KfC and I watched another outstanding Italian crime DVD series last week that I have been looking for a chance to mention on the blog. Guy Savage put us on to Montalbano some time ago and we have that whole set and have now been through it three times, even if I have only read one of Camilleri’s books. That experience led us to The Octopus, Colliandro and Donna Leon’s Brunelli, all of which we found excellent (for different reasons). Last week’s new one was Homicide Squad (La Omicidi in the original) — I’d seen it described on-line some months ago but the title and description led me to think it was too much like American crime shows that don’t interest me at all. How wrong I was. It is five episodes, the first four of which have their own “crime” but with a larger one looming in the background — episode five resolves that one. I was reminded of Highsmith in some ways, although it has a hero as opposed to a central villain. All of the characters are excellent and it ranks with the best of Italian crime television — and I think Italians do that as well as anybody. Sorry about hijacking your comment, Craig — it was your closing remark about avoiding legitimate literature that brought Homicide Squad back to mind since it is almost as good as literature and long way from a dime novel. Intriguing list.. thank you KFC. I’d have to disagree with you your number one, though..
Having read Barnes’ Sense of an ending, i found it quite mediocre..
Atlas: I did not much care for The Stranger’s Child either (and I wanted to like it because I found the premise and structure quite interesting). I found it over-written and more and more self-indulgent as it moved along. As for Barnes, I do think by its very nature (introspective with characters who are badly flawed) there are going to be readers for whom it simply has little appeal. While I can understand that, I don’t think that reduces its worth as a novel at all. The Booker really was a shocker this year. The idea that the judge listened to the candidate books using the Kindle voice function while driving her car, I actually don’t think that would be an acceptable way to judge plot-driven genre titles let alone literary fiction. Just embarassing. I hope the organisers learn from that fiasco. The Sense of an Ending though has indirectly given me quite a bit of entertainment, mostly I admit from reading comments here and at The Asylum almost all of which seem to ignore the issue of memory and instead treat it as a whodunnit. I shouldn’t be entertained by that, but we should all probably be better people than in fact we are, however good we may otehrwise be. Putting Blaise up with Munro is strong stuff, but I suspect I should read Munro first and I haven’t yet. I have another Grant unread so tempting as that one is I’ll have to pass on that too for now. The Ripley I’ve read of course. I only really love the first of those, but Highsmith is a distinctly underrated author so it’s always nice to see her get some attention. The Mars-Jones novels I do want to read. Between you and John I’ve been distinctly sold. The only real issue is length. I want to read more Proust this year, I want to read Gravity’s Rainbow, and I want to get stuck into Miklos Banffy’s famous trilogy and three books clocking in post 700 or so pages (GR I think nearer the 1,000 mark) just won’t leave much room for another megatome, however good. I’ll have to think about that though as the writing does sound of the first order. The Last Crossing will probably be my next Vanderhaeghe, and that will probably next time I go to Banff. 2013 perhaps. Which leaves Montana, 1948, standing out particularly to me (not knocking the other choices, all are interesting, but some of course resonate more). Both you and Trevor have sung its praises which never steers me wrong, so I’ll pick up a copy and see how it goes. I’m sure it will be excellent. Thanks as ever for the reviews Kevin, and I wish you some great discoveries and rediscoveries in 2012. And given your “tome” agenda, I can see why Mars-Jones probably has to wait for another year or so. Proust takes a lot of attention and I’ll admit to abandoning Gravity’s Rainbow after about 300 pages — boring and self-indulgent would have been my descriptors and there was no reason to proceed further, despite how much others might like it. I do think you will like the Watson — it has a noirish quality to it that I think will strike a responsive chord. I have read another one since (White Crosses) and have four more on hand, so Watson has obviously become a must-read author for me. As for Highsmith, I think I will be reading one or two a year for some years to come. It is easy to see (from just two books) why so many film directors were and are attracted to her work — there is a very strong dramatic quality to it throughout, from my limited experience. We can’t, and indeed probably wouldn’t want to, like everything. Despite loving it myself I can see how some might have found V boring and self-indulgent and I suspect Gravity’s is similar in terms of style. I recall your White Crosses review. Four more on hand? A must-read author indeed. Highsmith is a joy. One of those writers I can’t explain why I haven’t gone back to, if that makes sense. Time constraints I guess, but a definite talent.